We’re proud to work with brands that place their customers at the heart of their business. See what they've had to say about us and the work we've accomplished with them. Kimpton Hotels and Restaurants, acquired by IHG in 2015, is the acknowledged pioneer of the boutique hotel category and, until its acquisition, was the largest independent company of its kind. It is also well known for its chef-driven restaurants, sophisticated food and beverage operations and exceptional guest experience. Merial, now a part of Boehringer Ingelheim, is the world’s leading animal health company. 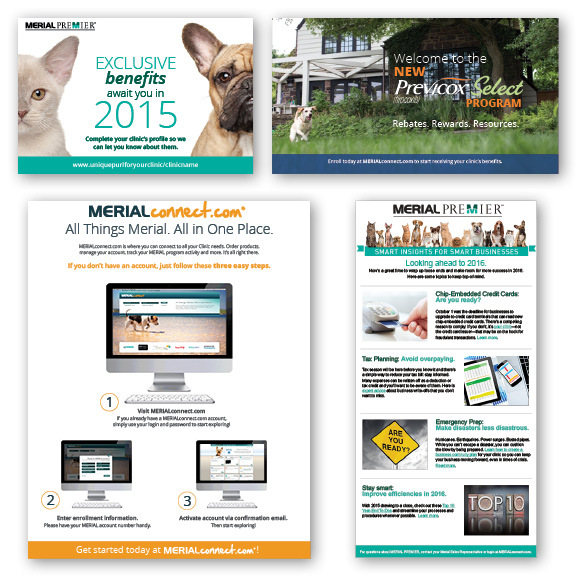 Manufacturer of NexGard®, FRONTLINE® Plus and HEARTGARD® Plus brands, vaccines and therapeutic products, Merial distributes its products primarily through professional veterinary channels to over 30,000 clinics and is the leading direct-to-consumer marketer in its category. Manheim, a subsidiary of Cox Automotive, is the world’s largest wholesale automobile auction company, specializing in providing end-to-end solutions for businesses using their tools. Established in 1945, they are transforming the future of the industry by adopting innovative products and technologies. Founded in 1933, the Pittsburgh Steelers are one of the oldest and most beloved teams in football. With a league-leading six league championship titles, the Steelers have a wildly loyal fan base not only in Pittsburgh, but across the United States and around the world. Huddle House is an American chain of diner-style restaurants. It was founded in 1964 by John Sparks in Decatur, Georgia when he was inspired by a group of young football players “huddled up,” talking and laughing. Since the very beginning, the company has been passionate about giving people a place to gather for good food and good times.